Panthers, Manatees and Bears Oh my! I’ve been thinking about the hunts that have opened up on our Florida Bear, and all the craziness that going on with hunting in our state parks and people wanting to take the Florida Panther off the endangered species list. “ORLANDO, Fla. (Reuters) – Florida’s wildlife agency may cut back on its efforts to save the endangered Florida panther two decades after helping return the big cats from the brink of extinction, according to an agency memo. The downlisting came after the U.S. Fish and Wildlife Service was petitioned by Pacific Legal Foundation, a private property attorney lobbying firm in Sacramento, Calif. Oddly, both the Endangered Species List and Pacific Legal Foundation were created in 1973. Before Florida was settled by Europeans, Florida black bears occupied all of the Florida mainland, and even many of the Florida Keys, with a population around 12,000. The current range is much more sporadic with isolated groups living mainly in protected areas in Florida, Southern Alabama, Southern Georgia and Southern Mississippi. Most major populations of Florida black bears live in protected areas. These include Ocala National Forest, Big Cypress National Preserve, Everglades National Park, Apalachicola National Forest, Osceola National Forest and Okefenokee National Wildlife Refuge. A study of the Okefenokee-Osceola population found over 500 bears in two study areas. The current bear population in Florida is estimated at more than 3,000 bears. 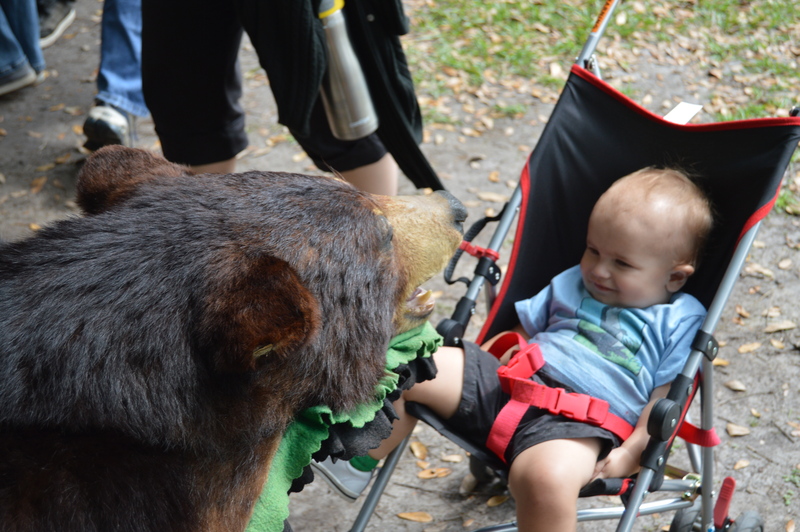 Here is a chronological history of the Black Bear in Florida. 1960 , and Ocala NF in 1961. GFC created definition and list of Threatened Species under Chapter 16E of the Florida Wildlife Code and includes bear as a Threatened Species. You get the picture. We had them. They were hunted into extinction. We managed them. They came back. Now we’re going to kill them. It is the key right-wing public interest litigation firm in a network of similar organizations funded initially by Scaife Foundations money across the USA to support capitalism and oppose environmental and health activism and government regulation. The organization has been  partially funded by a range of corporations and conservative foundations, including by the Koch family Claude R. Lambe Foundation in 1998. So the people behind taking the Manatee off the endangered list is the Koch Brothers and the Scaife Foundations. But still, with 6,000 or so manatees swimming around, there’s a chance that the feds will indeed pronounce them merely threatened. That’s the same status that was conferred on the Florida black bear — with only 3,000 left in the state. That seemed plenty enough for the Florida Fish and Wildlife Conservation Commission, which last month (not long after legalizing silencers for hunting weapons) voted to reinstate bear hunting. If the FWC figures that it’s okay to hunt a beloved species with a population of 3,000, imagine what kind of sportin’ activities those good ol’ boys in Tallahassee can rationalize now that we’ve got twice that many manatees terrorizing Florida’s waterways. Imagine the fun. Three of our beloved on endangered species list. One libertarian organization from California making the rules. Who owns the Florida Legislature so they are complicit with the whims of the very libertarian whims of the Pacific Legal Foundation? This entry was posted in black bears, environmental, florida legislature, florida politics and tagged Florida bears, florida panther, florida wildlife, manatees, pacific legal foundation. I imagine some might suggest this is a somewhat cynical response but to a political force that wants to privatize schools close libraries and complains that surviving soldiers are a drain on the tax base (as constrained as it may be) – Cynicism and satire remain among the few tools of the powerless.